US Vice President Mike Pence pledged support for the EU and NATO on Monday, distancing himself from comments made by President Donald Trump. 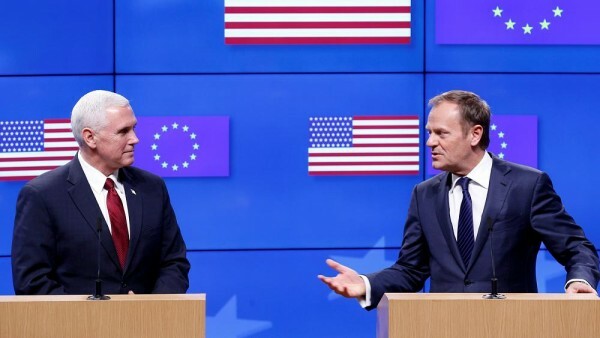 President Trump referred to the NATO alliance as “obsolete” on the campaign trail and backed Brexit, marking a reversal of decades of US policy. But Pence sought to ease European concerns after a weekend spent at the Munich Security Conference in Germany. “It is my privilege on behalf of President Trump to express the strong commitment of the United States to continued cooperation and partnership with the European Union,” he said. “Whatever our differences, our two continents share the same heritage, the same values and above all the same purpose, to promote peace and prosperity through freedom, democracy and the rule of law, and to those objectives we will remain committed.” The vice-president, a former governor of Indiana, also held talks with European Council president Donald Tusk and NATO Secretary General Jens Stoltenberg.